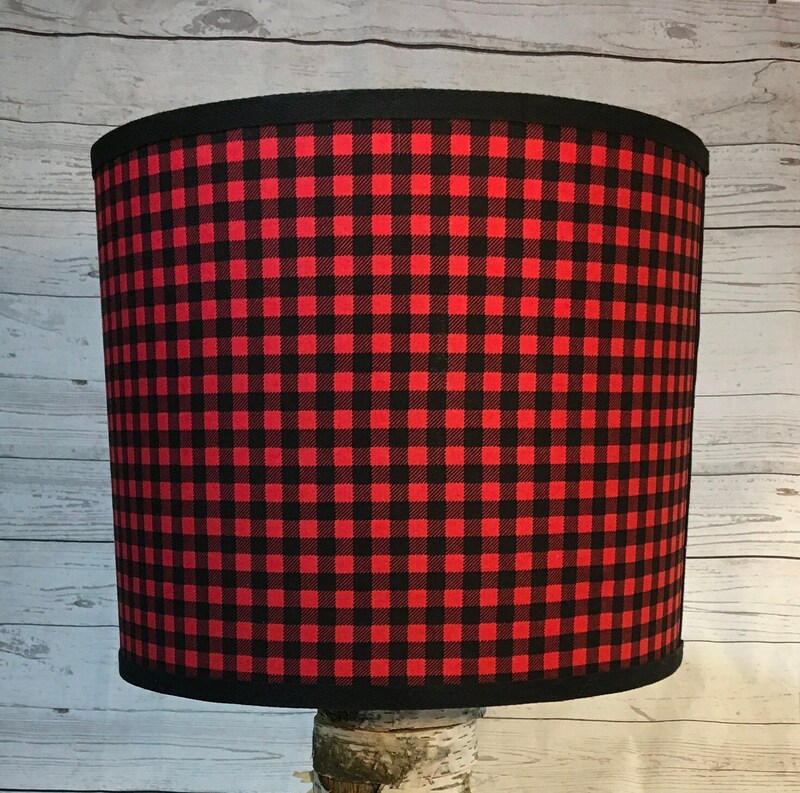 I handcraft this red and black check, checked, or checkered print fabric lampshade using an 8" round clip-on style attachment that fits any standard lightbulb. It measures 8" across, 26" around, and is usually done in a height of 7". I can adjust the height based on your requests. 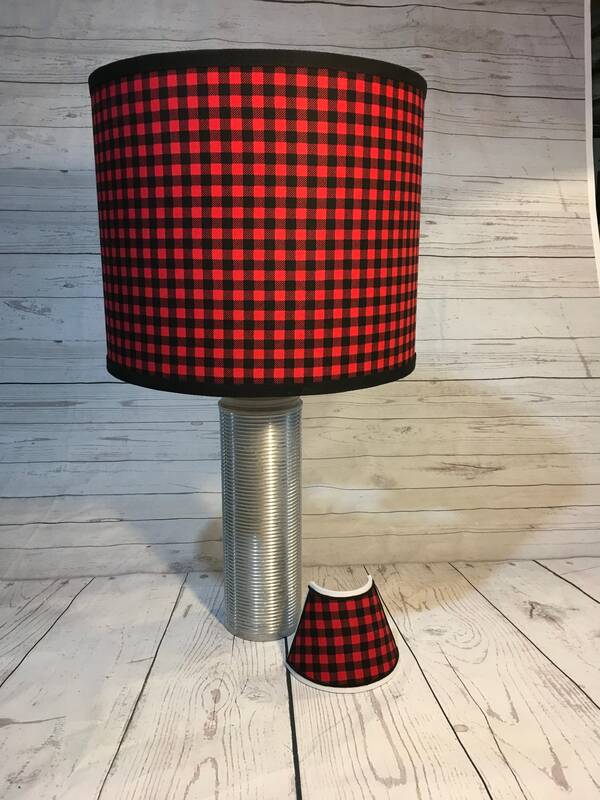 It is finished with a matching bias tape fabric that I make 57myself from the same fabric - it really finishes the edges and makes the shade even more beautiful! The fabric is mounted on heat-resistant styrene so you can use 60 to 100 watt bulbs. Clean up is very easy - just use a lint roller or clean, damp cloth.